They also form a dust mite proof barrier between you and your mattress, dust mites are a particular issue to a growing number of people. Symptoms of dust mite allergies include shortage of breath, runny nose, red and itchy eyes etc. 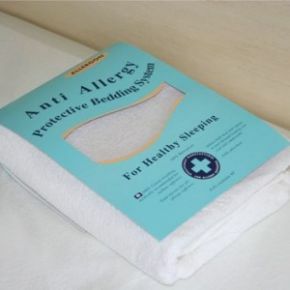 Unlike some waterproof mattress protectors Allergon is virtually undetectable in use and is comfortable to sleep on, in fact you won't even know it's there. Allergon is recommended for use by everyone not just those with a continence issue and is available in a wide range of mattress sizes. The item was delivered Quickly and seems as if it will serve its intended purpose. We haven't used it yet as it is to go onto a spare bed when and elderly relative comes to stay at Christmas therefore I cannot comment on its performance.